Ranbir Kapoor apparently skipped Deepika Padukone's success party held on Saturday as his rumored girlfriend Katrina Kaif was not requested. 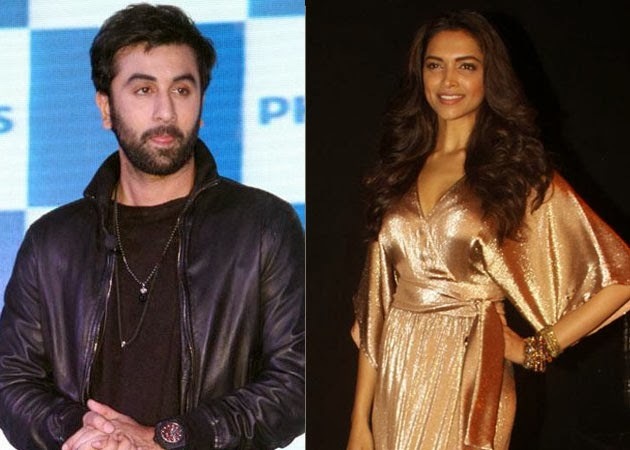 The actor, who has given his biggest hit Yeh Jawaani Hai Deewani with Deepika, apparently preferred staying home instead of attending the bash held at a hotel in Worli. Says a source, "Ranbir was not shooting on Saturday. It is clear that he did not want to join the event. Ranbir was in no mood as Katrina apparently was not on the guest list." A source close to Katrina says, "I don't think she was invited. She was shooting for a brand on that day." Katrina and Deepika's competition has become much talked about with Deepika now finding herself in the number one position. When Deepika was asked to comment on Katrina and Ranbir Ibiza pictures, she had said, "It has never happened with me. I believe if you are a personality or public figure, these things are bound to happen. If I am a public figure and if someone has captured me then I feel I should have been a little careful." This had clearly not gone down well with Katrina.